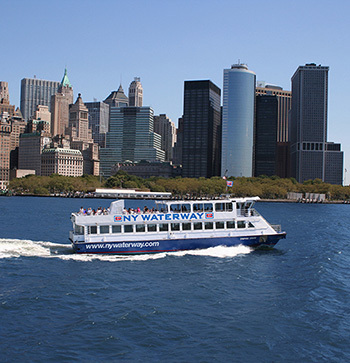 The service will operate from 6:05 AM to 9:35 AM and again by the return schedule from 4:15 PM to 7:15 PM. 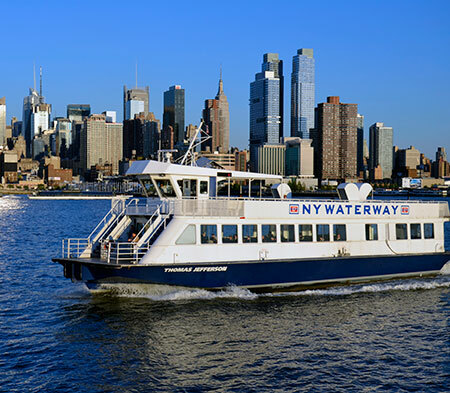 SHUTTLE SERVICE SCHEDULE: The service will operate from 5:45 AM to 9:40 AM according to the ferry departure schedule and again by the return schedule from 4:15 PM to 8:20 PM. All shuttle stops are designated with a white sign with blue lettering and are a NJ Transit Official Stop. The designated stops for departure in the morning are as follows. 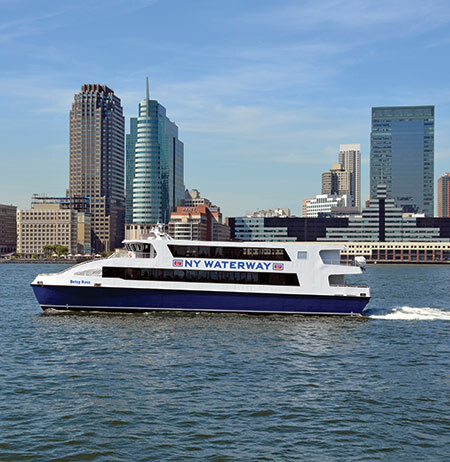 New York Waterway has coordinated their departure and return schedule to closely mirror the New Jersey Transit Bus Schedule for the 158 and 188 routes. 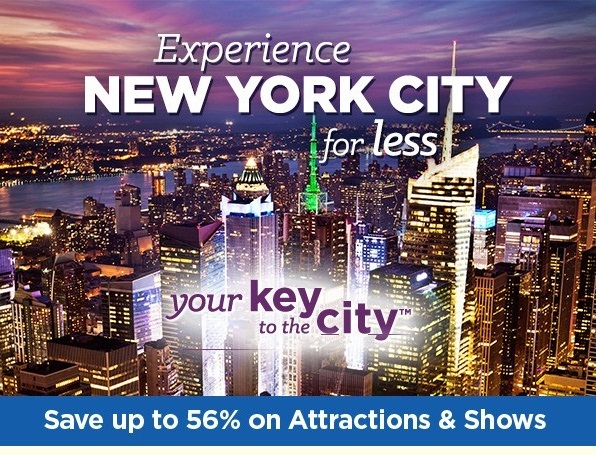 In the event you miss the shuttle bus, you have an alternative with NJ Transit.